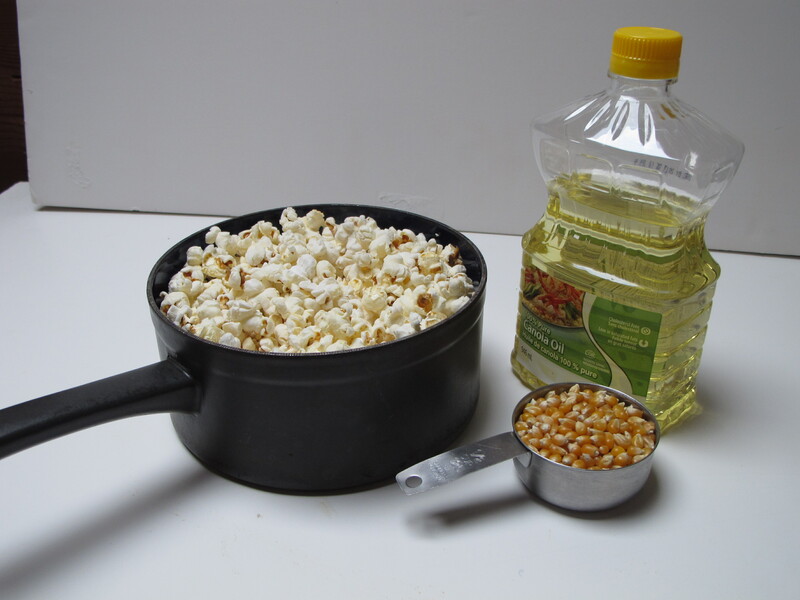 Make popcorn and learn about the chemistry of the popping. Each kernel has some water in it. (Corn that is used for popcorn has just the right amount of water: 13.5%.) As the hot oil heats up the kernal, the water inside it evaporates to form a gas (water vapour). The shell is strong and watertight so the gas cannot escape. As the shell bursts the pressure suddenly drops again. This causes the water vapour to expand which makes the starch and proteins inside the kernel expand into an airy foam. Recommended: if students have done some acting out the sates of matter already, they can do skits in small groups on what is happening inside the popcorn to make it pop. Then gather to view each others' skits, while eating popcorn. Students can inspect the kernels as they eat them, and see that the shell turns inside out from the force of the explosion. 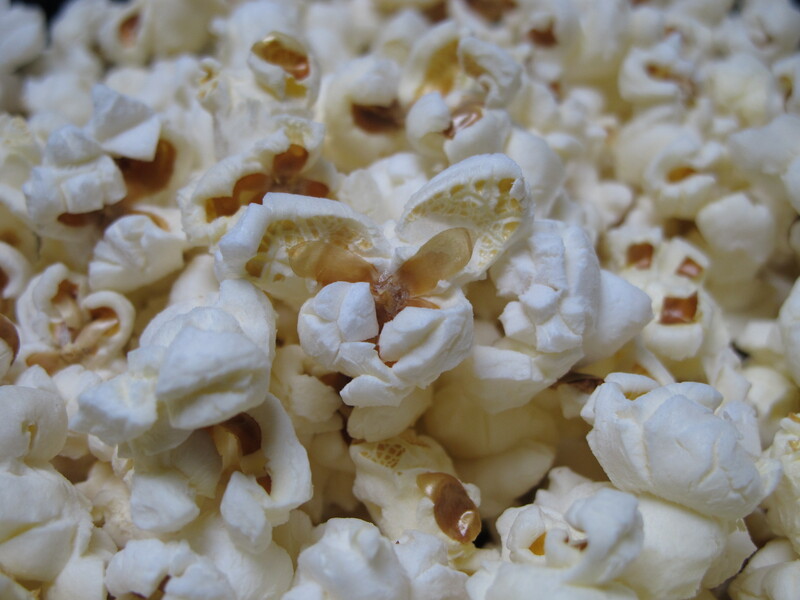 Popcorn can be made as part of a lesson on heat. Students brainstorm whether the popcorn is being popped as a result of conduction, convection, radiation or all of them.